Home /Beauty Insider, Most Wanted, Treatments, Tried & Tested/How to (not) Age like a Supermodel! What happens after supermodel me? 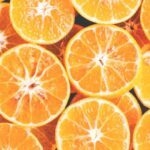 All the thousands splashed on top-notch beauty products and treatments to finally obtain the youthful looking skin that has stopped many in their tracks? Defying age is no simple feat so I’m thrilled to have found Threadlifts, one of the new ‘non-surgical’ facelifts available that allows me to stay fab with the magic of a few professional nicks. It takes just half-an-hour and there is no recovery time. 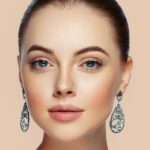 It seems A-listers clamoring for threading face-lifts can finally breathe an easy sigh of relief with the latest advances in thread-lifting technology. Looking at the arduous journey that threadlifts have taken over the years, it’s no wonder why so many others are now queuing up for the latest Silhouette Instalift. 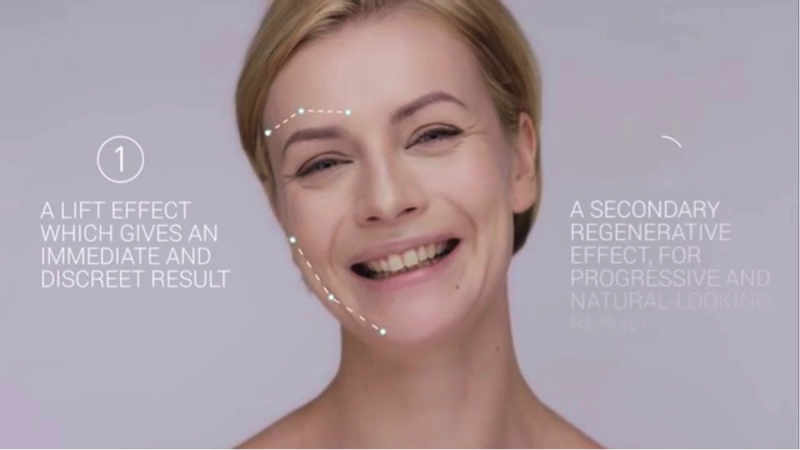 In 2004, the FDA approved the use of Contour Threads, which were marketed as non-surgical face-lifts that could help to lift the brow or firm the neck or jaw line. 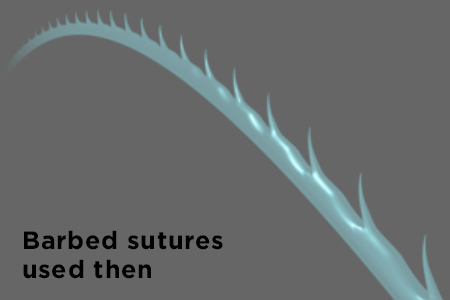 But in 2007, early thread-lift patients suffered serious side effects, including infection and thread breakage. The “threads” used in these procedures aren’t the kind you’d use for needlepointing. The ones used for face-lift purposes are barbed, meaning they have brambles that stick out and become difficult to remove from the skin. Fast forward to today. 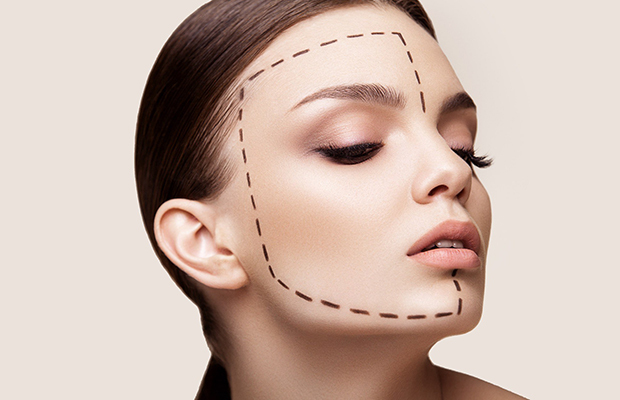 What’s old is new again in the world of cosmetic surgery. The Silhouette Instalift, the latest youth-enhancing treatment to receive FDA approval, is an updated version of what you may remember as the “thread lift” from the ’90s. Now, thanks to innovative techniques and high-tech threads, it’s getting a second chance from doctors and their patients who want a face-lift without downtime or surgery. Promising to painlessly lift sagging skin and deliver natural-looking results, Silhouette Instalift is a relatively straightforward procedure. Doctors use a fine needle to puncture a hole (the size of a dot) in the cheeks near the nose. From this site, one or more threads equipped with tiny cones is threaded in directions that would best lift your skin. That’s where skill and expertise comes in. Your doctor would be the best person to judge where to place these threads and how many threads you would need. So I asked the best expert in this area for his opinion. Dr Kenneth Lee, medical director of SW1 Clinic, has probably notched up hundreds of Silhouette Instalifts under his belt. He’s apparently the go-to person if you want the best ‘facelift-money can-buy-sans-scalpel’. 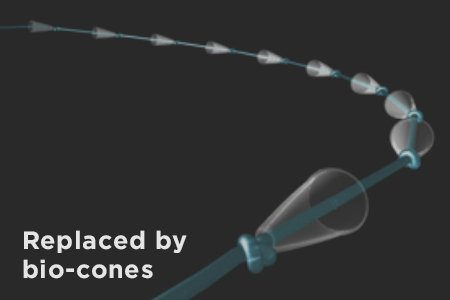 “Because the threads contain bidirectional cones, they’re able to self-attach to tissue, lifting without the need for hooks or anchors. 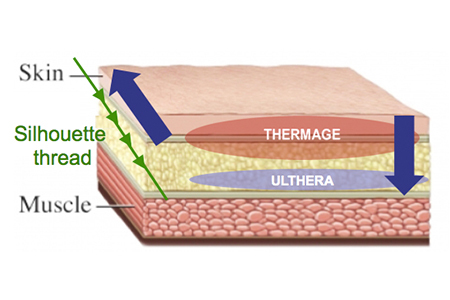 Once in place, they trick the skin into producing more collagen. Six months later, the threads and cones dissolve, leaving the face lifted and plump” he explains. Dr Lee’s patients see results lasting from 12 to 18 months which is impressive for something that takes the same amount of time as an afternoon high tea tête-à-tête. 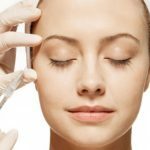 “Like filler, “it’s going to have to be repeated because it’s not permanent, but it’s also less invasive than a face-lift” he says. For Dr Kenneth Lee, that’s key. For exceptional results, he recommends pairing Silhouette Instalift with treatments Ulthera or Thermage. I couldn’t wait to get started with this procedure, encouraged by the promise of wondrous transformation visible in the pre and post-treatment photographs in the clinic. Dr Lee’s Silhouette Instalift is done under local anesthetic. Living up to his reputation as one of the most meticulous doctors in the industry, Dr Lee carefully marked out tiny red dots to indicate where the threads would go in and out of my face. Then, as I lay on the bed, covered in sterile paper, I could vaguely feel the doctor touching my face, putting some pressure on my skin, but I didn’t actually feel the needle pinch, perhaps because my skin was numb from the local anesthetic already. Once both the threads have been place in one side of the face, the good doctor turns to the other side to create the same lift in the second cheek. Dr Lee’s confident and meticulous nature set my heart at ease, and at no time did I feel any panic or fear contrary to my colleagues’ predictions. The whole process took just 30 minutes, though it felt far longer – despite my efforts not to dwell on what was happening. Immediately after the procedure, I was handed a mirror, and my heart skipped a little beat as I could see the lift in my face already! 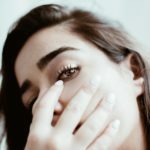 I was given a whole list of post-treatment instructions which included not making excessive movements of the face, but honestly my mind was already in elsewhere – I couldn’t wait to see my husband’s reaction! My husband – a hardened doubter of cosmetic surgery, even the non-invasive kind – was astounded when I walked in through the door. He even compared my new face to a photo of me ten years ago when I was an intern living overseas. I couldn’t have hoped for a lovelier comment. I returned to Dr Lee for a review in a week and we both agreed that this has knocked at least a decade off me. “Yet your face still looks natural – just more lifted, defined and less lined. That lifting effect should be even more noticeable over the next few months as more collagen is produced, thanks to stimulation from the cones” he explains. I left a convert of Silhouette Instalift, and a self-professed lifelong follower of The Sloane Clinic. But will I tell anyone what I’ve had done next time they ask? Probably not. This is my little secret. You’ll just have to try it to believe it.